Ever wonder what it takes to achieve your ultimate goal? 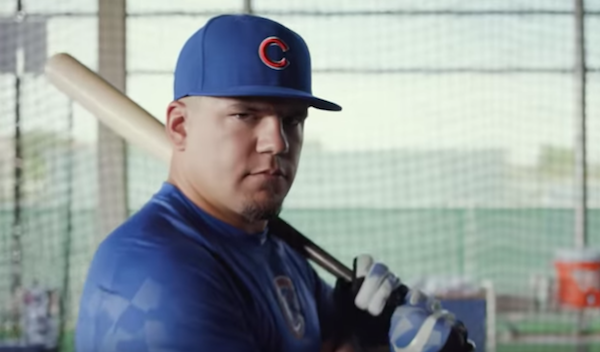 Well World Series hero and Chicago Cubs Outfielder, Kyle Schwarber, teamed up with Gatorade on a video just in time for the Cubs’ home opener. The video shows that winning is a reflection of the work you put in when you’re not playing and that you can’t #FlyTheW without putting in the work first. Schwarber, who has already persevered in the face of adversity, embodies the idea that sports performance is driven from the inside. Print article This entry was posted by Art Eddy III on April 10, 2017 at 5:39 pm, and is filed under Sports. Follow any responses to this post through RSS 2.0. Both comments and pings are currently closed.